A friend of mine came to visit a couple weekends ago and when I was at the grocery store buying food for the week, I realized I didn’t have anything to offer her to snack on other than veggies or chicken. 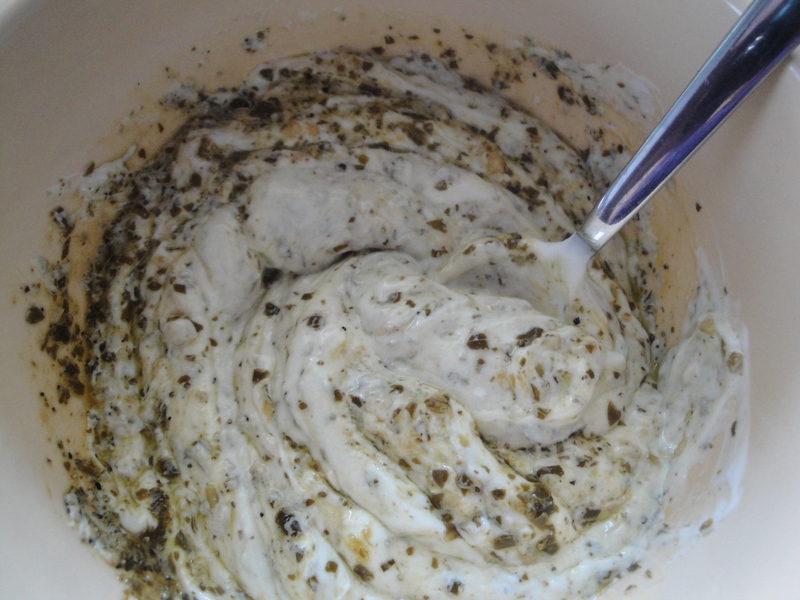 I remembered a page in the latest Real Simple magazine about different dips to make with Greek yogurt and the next thing I know, I was scouring the check-out lanes for the latest issue to look up the ingredients. 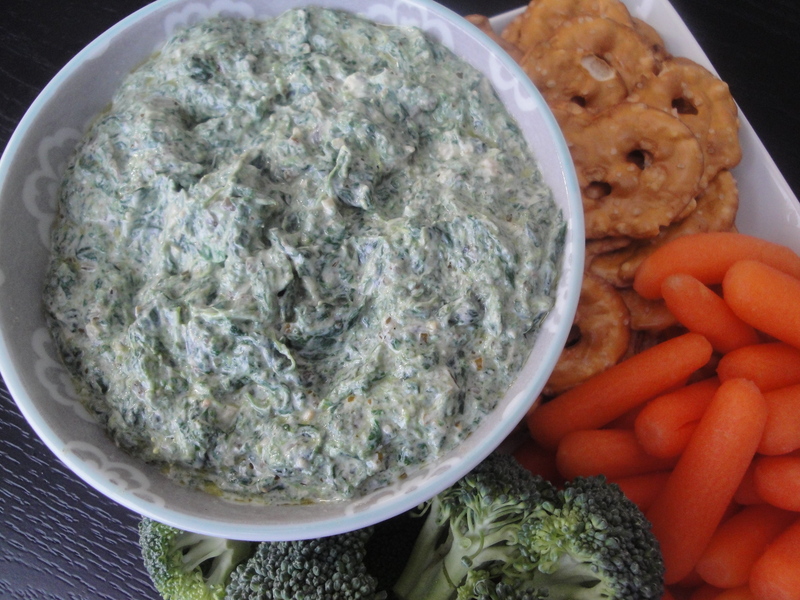 This Spinach-Pesto Dip appealed to me since I’m not only a big spinach fan but I would eat pesto on top of just about anything if it wasn’t so fattening. 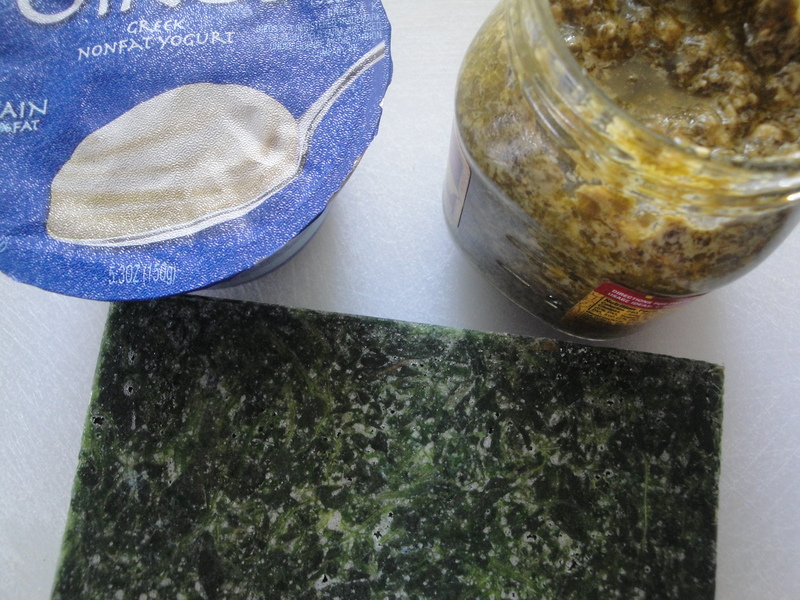 I wasn’t thrilled about buying store-bought pesto with it’s inch-thick layer of olive oil sitting at the top of the jar but I didn’t want to have to buy all of the ingredients to make my own. I ended up dumping most of that olive oil once I opened the jar before stirring the pesto and I didn’t miss any of the extra oil. 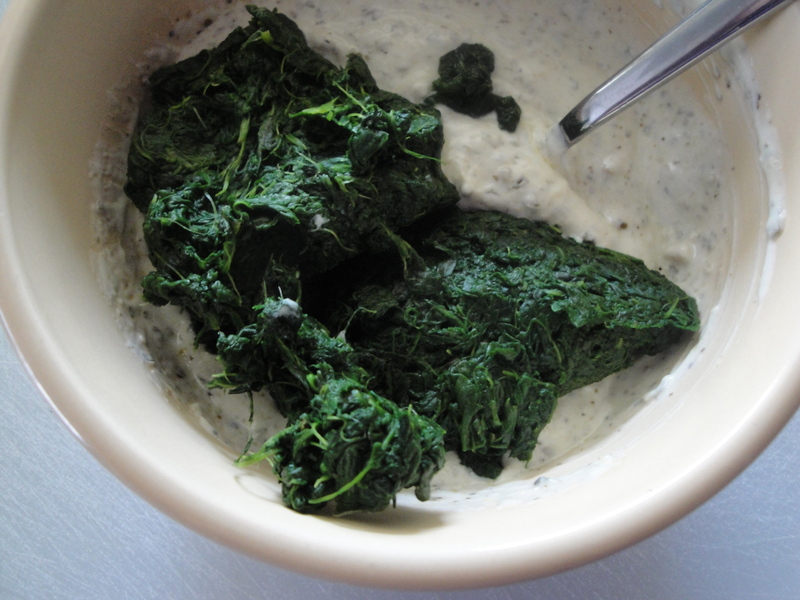 This was such a simple dip to make what with it only having three ingredients and it’s a pleasant change from the regular old spinach dip. This made for a perfect last minute appetizer to have with wine when my guests came over. I served it with carrots and pretzel chips (is anyone else as addicted to these things as I am?!) 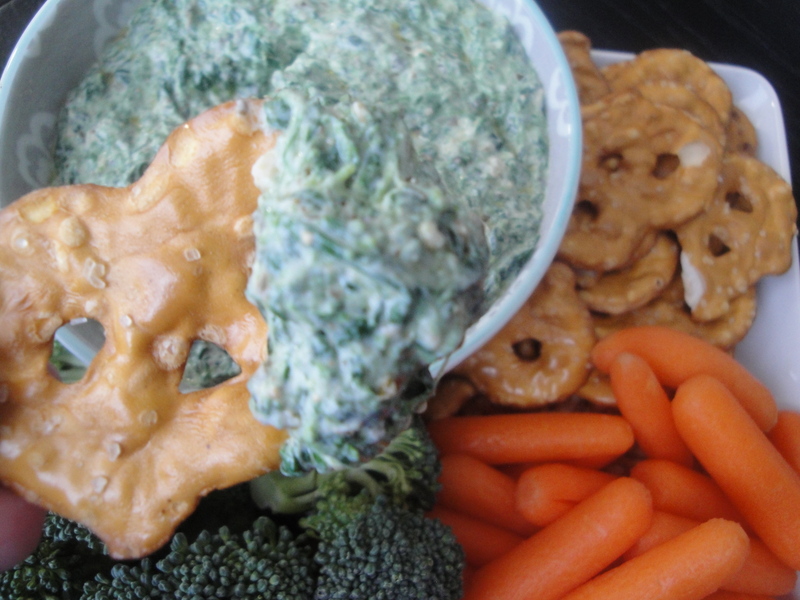 but this dip will taste great with any of your favorite veggies or chips. Cook the frozen spinach as per the package instructions. 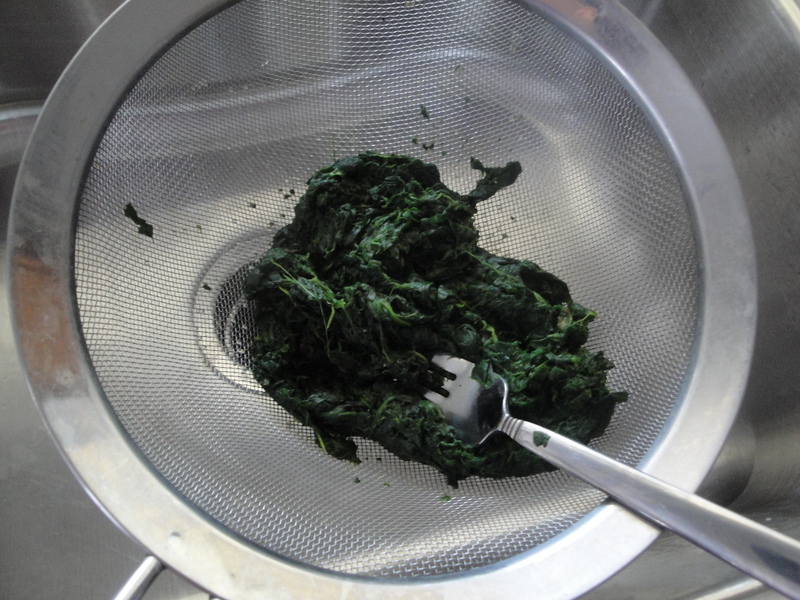 Once the spinach is cool enough, press or squeeze out as much excess water as you can. 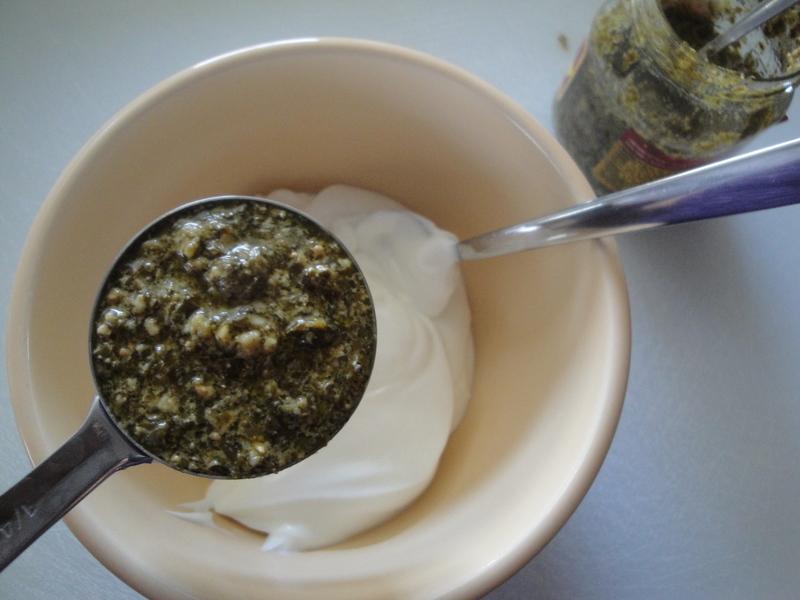 In a small bowl, combine Greek yogurt and pesto. Add in the spinach and stir until incorporated. Serve with your favorite vegetables or chips. Super easy and yummy. Thanks fro sharing.